2018 is going to a big year for wholesale distribution. Thanks to constant advancements in B2B technologies and capabilities, wholesale is fast catching up with retail, through omnichannel selling, digitalization and global online marketplaces, amongst others. So, what do these predictions mean for the APAC wholesale market? As buyers come to expect instant, sophisticated and customised service as standard, wholesale businesses will need to embrace technologies that allow them to provide a customer experience on par with B2C. 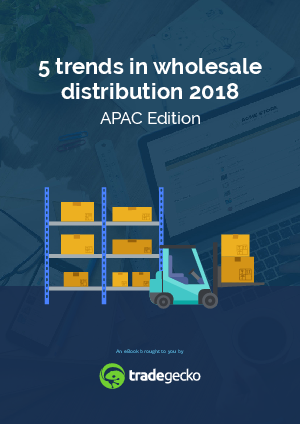 Download this eBook to understand the most important trends in wholesale distribution in APAC.